Birthing ball + yoga = a great prenatal class!! 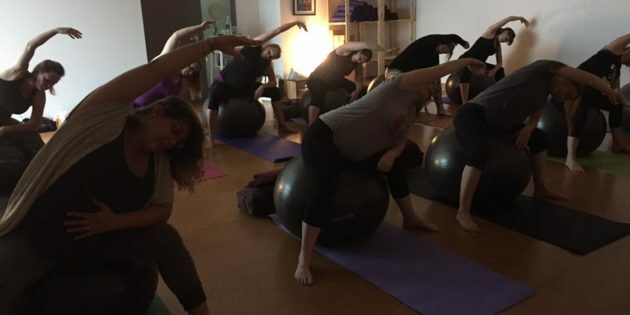 Specialty class #2- In the ball class the expectant moms are encouraged to use the ball throughout their pregnancy to help their body feel good transitioning through the trimesters. They learn various comfort positions to use during labour, positions that encourage the baby to get in the right position, two new ways to squat and a very effective technique to push their babies out when the time comes!! Everyone loves the ball class! !